Hummingbirds are always a birder favorite. We don’t get many in Alaska; only the Rufous Hummingbird is regular. And that only in southeastern and southcentral Alaska. In the tropics, however, their size, colors, bills and behaviors are bewildering. And their names are as whimsical as anything in science. 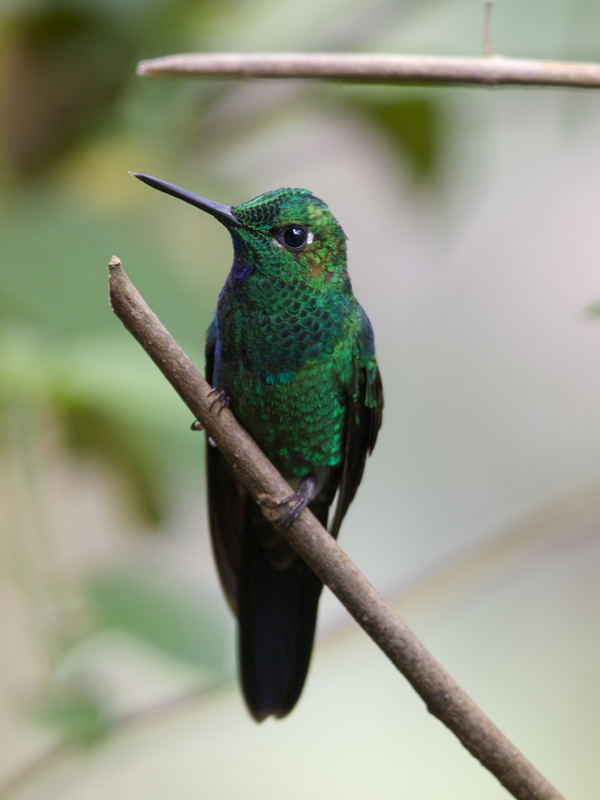 Here’s a Green-crowned Brilliant, at five inches in length a mid-sized hummer. You can just make out from the angle of the photo the distinctive purple patch at the throat. 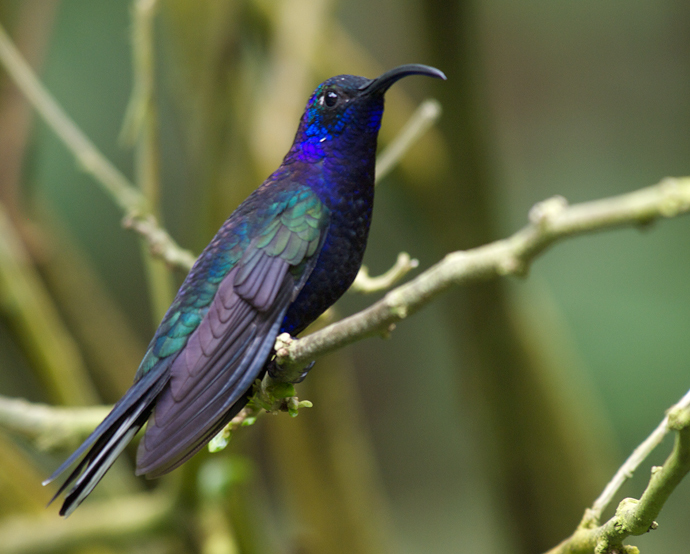 By contrast, the Violet Sabrewing is a somewhat larger bird at six and a quarter inches, with a truly lovely glittering violet color in the male. 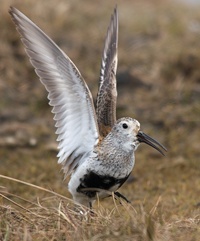 It’s more spectacular in flight but adequate flight shots are beyond WC’s skills and equipment. The curved bill (technically, “decurved”) allows it to forage in flower with curved stems, like Heliconia. You posted those to tease and torment me! I’m so envious! One of these days perhaps I’ll have enough pennies saved to go down there and see these living jewels myself. Enjoy!